Please find attached a flyer advertising our family race night – which will be great fun as well as raising money for the World Jamboree participants and leaders. On the night there will be at least 8 races, with live “racing” in the middle of the hall, rather than watching a screen. Races will see 8 “jockeys” reeling in their wooden horse, with everyone in the room cheering on the horse(s) they’ve bet on… Winning horses will earn a payout for those who bet on them. A jacket potato meal is provided within the ticket price, just bring along some money for the tote! 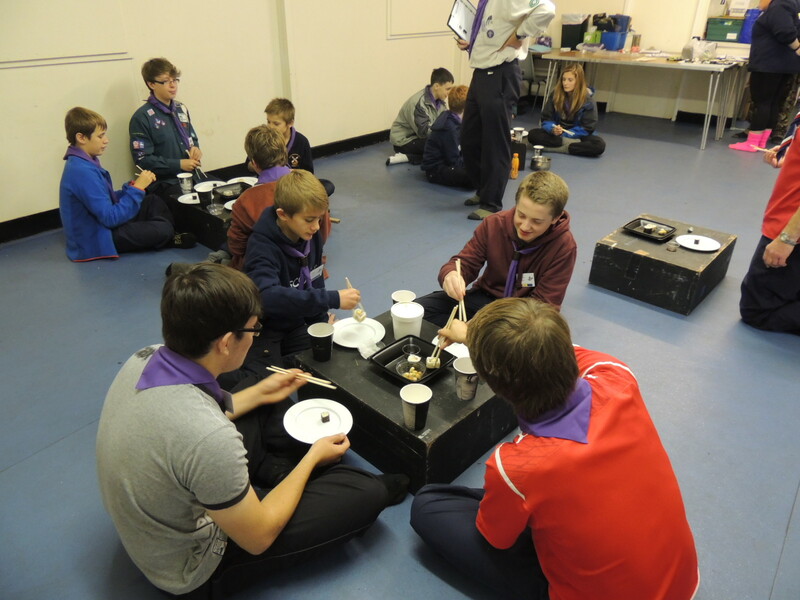 Over the last couple of weeks we have had some great news about the 2015 World Scout Jamboree in Japan for members of our district! 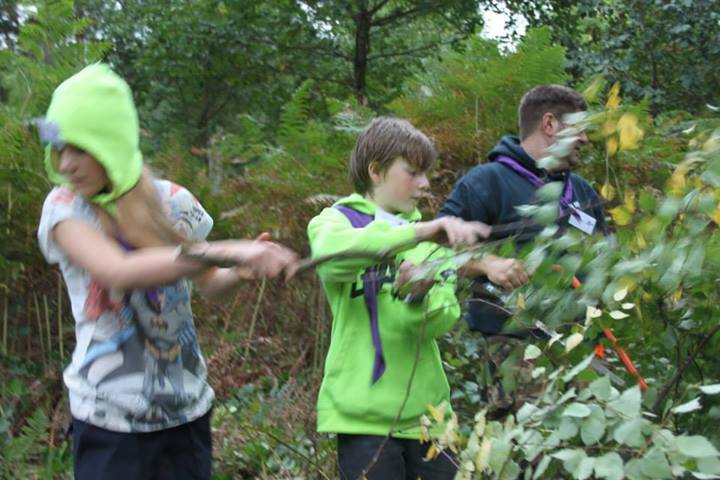 Eloise Hepburn (Explorer Scout) and Joe Reed-Hook (1st Bennetts End) have accepted the offer of additional places, made available after Hertfordshire were allocated extra patrols due to an increase in the number of units the UK have been allowed to take! Joe and Eloise join William, Alice, Karl, Monty and Kerry who were selected last October to represent Hemel Hempstead. As a result of the extra patrols, extras leaders are needed and Chris Larkin (2nd Hemel Hempstead) has accepted Hertfordshire’s offer of taking on this role and joins David Woodall (1st Apsley) who was selected last Autumn. 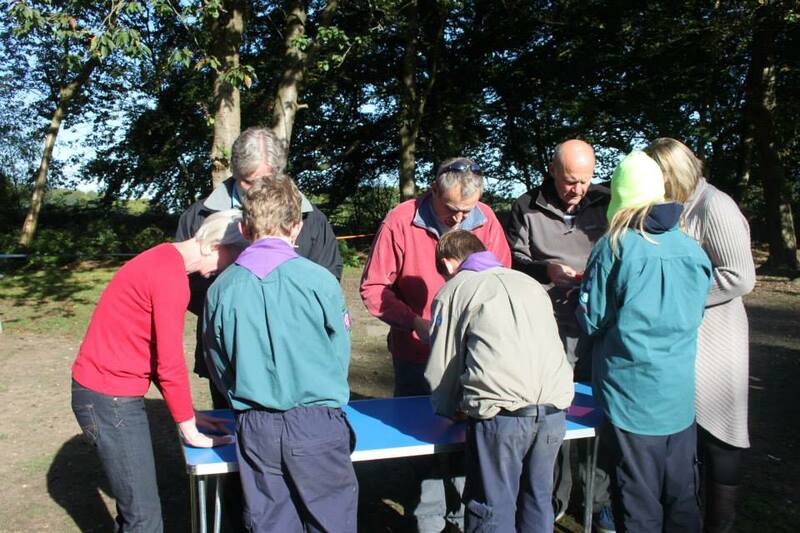 After a day-long selection process in February, the following adults have also beaten off stiff competition from across the East of England region to attend as International Service Team – the volunteers who make the Jamboree actually happen! 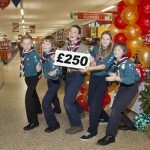 Five Scouts selected to represent Hemel Hempstead as part of the UK contingent to the World Scout Jamboree in Japan were on hand to receive a £250 donation from the staff at the newly-opened Aldi in Hemel Hempstead early on Thursday morning. 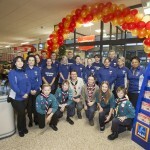 Managers at the store have supported Hemel Hempstead District Scouts twice before even opening – having donated a car-boot full of products to our “Treats for Troops” evening. We’re looking forward to working with them now they’re open to help raise money through bag-packing and other opportunities. 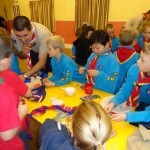 1st Gadebridge get in the jamboree mood! 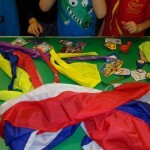 Beaver Scouts from 1st Gadebridge enjoyed an evening learning about World Scout Jamborees last week as part of the Global challenge badge. 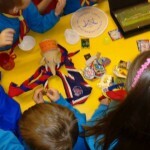 Our District Commissioner, Russ Dyble, brought along souvenirs from the 20th World Scout Jamboree – held in Thailand over Christmas and New Year 2002-03. 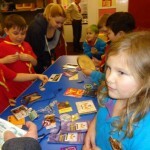 During the evening youngsters learnt what happens at a Jamboree and searched through badges, photos and other souvenirs to find as many different countries as possible. 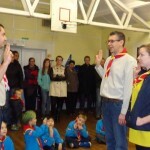 The night was rounded off with the investiture of two leaders, Chris and Della, as well as presentation of the first “1 year joining in badges” for Beaver Scouts who first joined the group in Autumn when it was re-started after a break of nearly two years. The leaders involved all agreed that the 35 who put themselves forward for selection made the weekend a very enjoyable one and the decision over who to select even harder than in previous years. The selection team spent a total of 7 hours deliberating over two long sessions before coming to a decision. I’m sure you will join me in congratulating the lucky five and wishing them well over the next two years as they prepare for the experience of a lifetime! 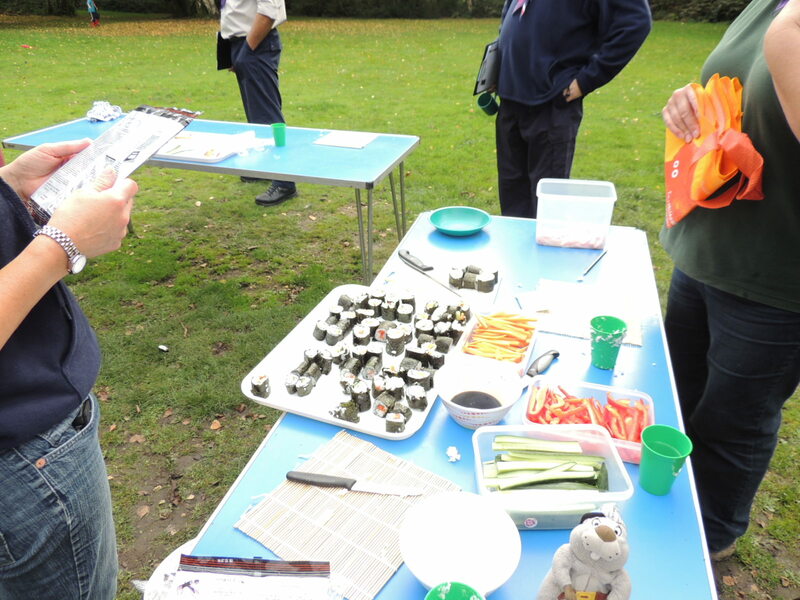 Nearly 40 scouts battled for just five places at a selection weekend to decide who will fly the flag for Hemel Hempstead at the next scouting World Jamboree in Japan. 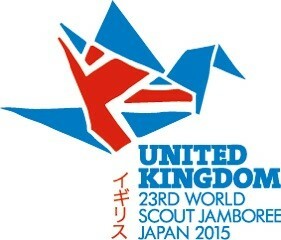 World Jamborees are only held every four years, and the next will be hosted by Yamaguchi City in 2015. The theme of the 2015 event is Wa, meaning harmony, peace and balance in Japanese. 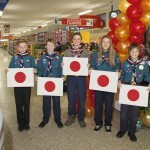 There will be 30,000 people heading there from 150 countries, and Hemel Hempstead hopefuls were put to the test during an origami workshop, a sushi preparation session and a traditional Japanese tea ceremony, tips on Japanese etiquette – how to greet, bow, sit, eat, drink and depart, and how to introduce themselves in Japanese. 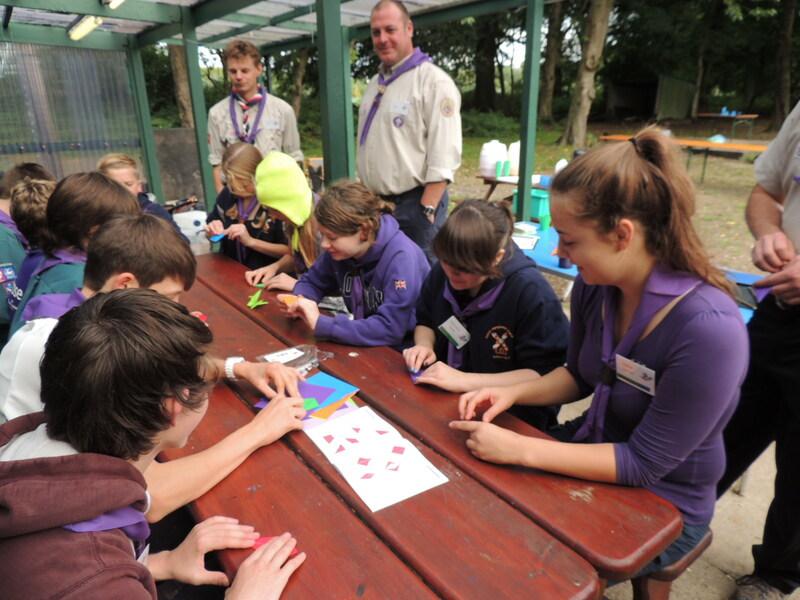 Details and an application form are now available to register for the selection weekend for the World Scout Jamboree in Japan (July/August 2015). Every Scout/Explorer born between 28 July 1997 and 27 July 2001 is eligible (dates are set by World Scouting and are very strict). You can register online or submit a paper application. 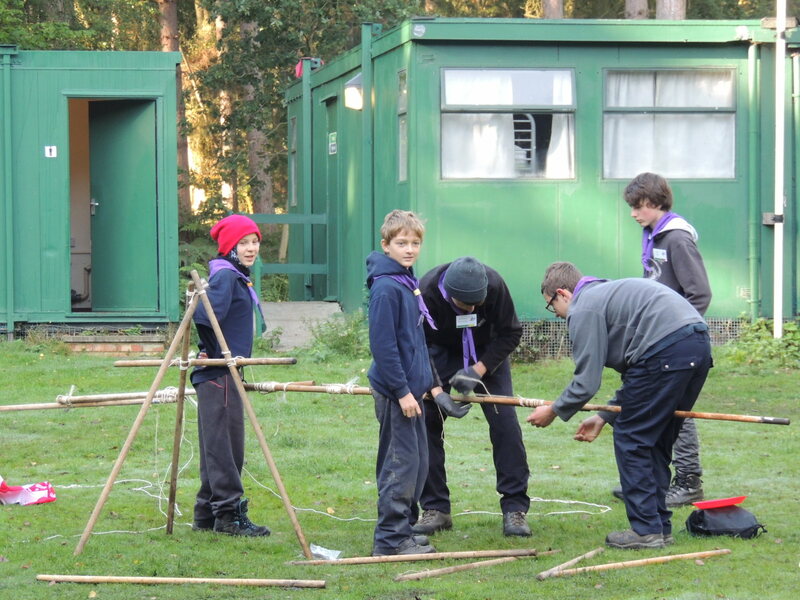 Deadline for applications is Sunday 22nd September – details about arrangements for the selection weekend on 5th-6th October at Lees Wood will be sent by email week commencing 23rd September. 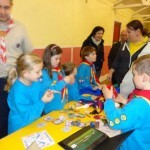 Download the information, Jamboree factsheet and application form.